A surprise decision by the Bickley Park skipper when he won the toss to bat first came back to haunt him on wet green pitch. Bickely Park after winning their first 2 league games were quickly in trouble losing 4 wickets before 20 was on the board. A partnership of 40 looked like a recovery may be on before 2 more wickets fell in quick succession. Callum McCormick had taken 5 of these wickets and ended with 5- 32 off his 15 overs. Mick King was the only Bickley batsman who scored runs freely before he was dismissed for 53. Ashley Ellison and Oli Frewin replaced the opening bowlers and picked up 2 wickets each to finally dismiss Bickley for 112. Broadstairs nervously ate their tea knowing that the previous week they had been dismissed for 70 so it would not necessarily be a formality chasing the Bickley total. 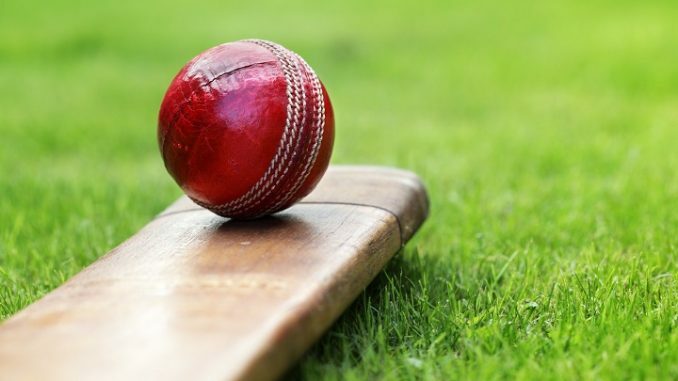 With 50 on the board, Broadstairs had lost 4 wickets but then Sam Windsor 49 not out and James Bond 21 not out steadied the ship and took them to the required total without losing anymore wickets.